The advent of the protector of the dragons, Kaiser! Fate’s immortal successor! Wow, this guy looks cool! Is he the new race that was mentioned in Inkwell’s video?! His armor looks super awesome. 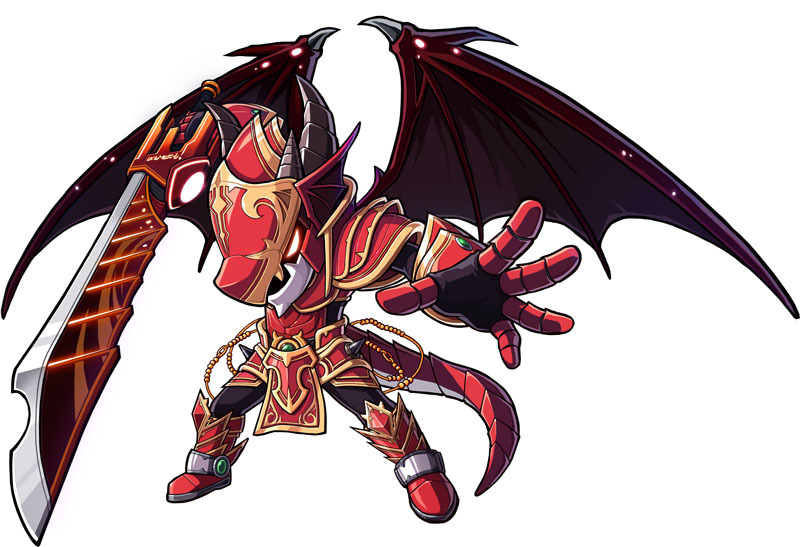 Could the next class be the protector of the dragons, Kaiser? I’m excited! His sword (along with other types?) was shown in a past Diary entry. I wonder when it’ll come to Tespia~ What do you guys think? By the way, finally pictures have been released for JMS’ Sengoku Era update! They include skills for the two new classes, Hayato and Kanna. Personally, I think Hayato’s skills are too obtrusive and boring, and Kanna’s skills don’t look Maple-ish at all, but I’ll leave you to decide that for yourself. You can see them at ShiKage’s blog! P.S. If you’re gonna post on a forum about these classes, don’t link to my post, link to his! I’d like to play this class in tespia first before i come to any conclusions. This dragon character might be the one in captivity in the resistance “storyline”. Looks cool. Maybe this is the “evil” faction, since the Heroe storyline is done with Luminous, they might now focus on Faction jobs, this being one that belongs to the Evil faction. I hardly doubt there will be “factions”. It’s being released in like 2 more days right ? Kaiser, he looks like a bamf. Don’t tell me that Kaiser is a “Dragon-Born”…. max, where is the post with the id numbers? or the website?? This is why private servers exist; so that we can play the game without wierd and rediculous updates like these. Sure, keep living in the past while we move on. Those private servers won’t last long anyways. Nope i don’t care about any new classes. I got Phantom and Jett, im all good. Isn’t the name of the new race Dragon Guardian? Hopefully his skills match up to his looks lol. And guys check out the original link in the blog Max posted for the JMS exclusive classes. Lots more screenies there and they all look super spiffeh to me 🙂 The mage skills look like Okami in particular! Wow fiel is so fast LOL. I dont think so…It looks like it has a snout and I would imagine magnus more like DS..
Nvm it doesnt have a snout. Outside the dragon suit they look like wimps..but inside the suit they look awesome. *after looking at the extractions* Dragon-man race? Great Class, I Love Two Handed Swords! OMFG IMAGINE the spam that people would make with the new classes coming out D:< !!!!!!!!!!!! I think Magnus is Kaiser! ugh i soo wana play jms now. 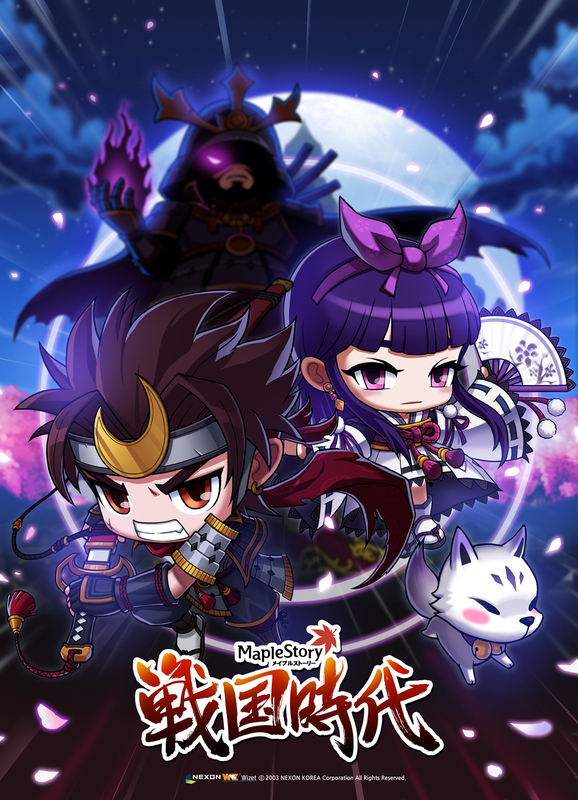 Hayato looks soo fun to play, If only it would release in gms. Hayato reminds me of kenshin himura from rurouni kenshin, always wanted to play a char like him in games. but generally people don’t talk about such topics. To the next! Kind regards! !